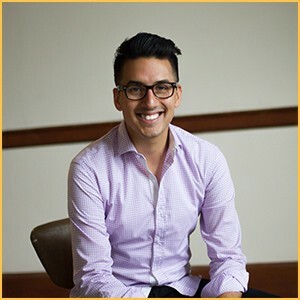 David Lemus is a knowledgeable and skilled facilitator, with experience teaching design thinking programs at both practitioner and executive levels. Most recently, he has conducted workshops with product teams at Microsoft, Capital One, Cisco and Sunrun. David is also currently an adjunct professor in the School of Business at University of Portland. Over his last 2 years working internally at Capital One, David taught or coached over 15 programs to more than 400 mid-career cross functional and executive teams, including a 4-day enterprise-wide design thinking program where he led the curriculum development, teaching and small team coaching. Previously working alongside former dSchool, IDEO and Institute of Design leaders has allowed David to hone his craft and solidify his expertise as a design thinking educator. As a result, employees at Capital One have changed the way they work to include tools and mindsets of human-centered design to create products and services that customers truly love. Prior to Capital One, David was a senior consultant at Peer Insight, a service and innovation consultancy based in Washington D.C. He has led and contributed to growth projects with organizations that include Kimberly Clark, Good Samaritan Society, Health and Human Services and American Association of Medical Colleges. He holds a B.S. in Mechanical Engineering from the University of Maryland.